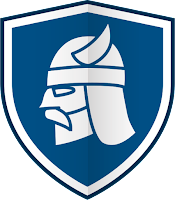 Thor Foresight Home/Vigilance Home/Premium Home (Formerly Heimdal Pro) is a cyber threat security suite that includes 3 layers of protection to protect users against attacks that antivirus cannot block. it actually provides a second layer of protection for your system and is compatible with all AV solutions. By constantly patching critical, vulnerable software and filtering Internet traffic, it's ensures increased security levels against ransomware, financial Trojans, phishing attempts, data leakage, exploits and Zero Day attacks. FREE - Keeps your vulnerable applications (30+) up to date and protects you from exploits. Vigilance Home - Keeps your vulnerable applications (30+) up to date, secures your private financial data, checks your internet traffic and blocks sending data such as passwords or credit card details to a malicious hacker server or website, and protects your system against the latest financial malware threats. The difference between Thor Home and antivirus, is that your antivirus looks for files and actions, whereas Heimdal Thor looks at traffic. It works proactively to prevent cyber criminals from infecting your system, taking data from your PC and moving it out of your network. Thor Foresight works seamlessly with any antivirus, including: Avast, AVG, Avira, Bitdefender, Esset, F-Secure, Kaspersky, McAfee, Malwarebytes, Norton, Trend Micro, Webroot, Windows Defender, and more. Thor Foresight provides an extra layer of security that you do not get from your antivirus, thus complementing its features with a proactive defense behavior. Note: Heimdal Thor requires .NET Framework 4.6.1. If Microsoft .NET Framework 4.6.1 is not already installed, it will automatically download and install it. Disclaimer: Direct downloads for the lastest version of Thor Foresight Home/Vigilance Home/Premium Home 2.5.152 are provided by the official software's author, we can't guarantee safety, availability or download speed. Moreover, we don't and we won't provide any pirated/illegal versions or tools. We recommend you to avoid it as these methods can harm your device. If you like the software, buy it to support the developers. (We provide software discounts for many worldwide brands).